The life of Mason Evan Jr. from age 5 to age 18. An unusual and ambitious cinematic project comes to fruition with 2014’s Boyhood. Filmed over almost 12 years, the story follows the lives of Mason Evans Jr. and his family. Boyhood starts in 2002 and introduces us to six-year-old Mason (Ellar Coltrane), his slightly older sister Samantha (Lorelei Linklater) and their single mother Olivia (Patricia Arquette). So Olivia can go back to college, she moves the kids to Houston because her mother (Libby Villari) lives there. We follow the clan from 2002 to 2013. Along the way, a variety of events happen, such as the reintroduction into the kids’ lives of Mason Sr. (Ethan Hawke) in 2004 and Olivia’s marriage to college professor Bill Welbrock (Marco Perella) in 2005. All of this leads us to 2013 and Mason’s graduation from high school. On the positive side, Boyhood certainly qualifies as an audacious experiment – and one that easily could’ve gone south. Director Richard Linklater gathered all involved every year from 2002 to 2013 to create “short films”, and these got collected into the overall narrative we see here. 12 years, 12 shoots, all to create one long movie. Even if the film only used actors who were adults in 2002, it would’ve been tough to get the various participants back to the production. The addition of young performers added to the challenge, as kids don’t control their own destinies like adults do. Granted, Linklater partially stacked the deck when he cast his daughter Lorelei as Samantha. Other than Mason, she’s the only child who really needed to be there for the entire 12-year production, though as we learn in the Blu-ray’s supplements, she eventually tired of the project and attempted to get her dad to kill off her character. The choice of Lorelei ensured that Richard would always have actress to the second-lead child, but he enjoyed no similar guarantees in regard to Coltrane’s future availability. If his family decided to move away – or simply changed their minds and bailed on the production – then Linklater’s experiment would’ve hit the skids. Perhaps he could’ve figured out some way to salvage the project, but the loss of Coltrane would’ve made that much more difficult. While I definitely applaud the nerve and ambition Linklater brought to Boyhood, I feel less enthusiastic about the film itself. I think there’s a considerable danger that the production’s backstory will overshadow the movie itself. Given all the work that Boyhood required, it becomes more difficult to criticize it – how can we not applaud such audacity? Again, I do think Boyhood represents a cool undertaking, but the movie itself does less for me. The film lacks a plot, as it essentially just visits Mason and family from time to time without any real overriding theme or narrative direction. Occasionally it seems to threaten to go down one path or another, but it never does; we get slices of life without consistent story beats. Many seem to love that and think it makes Boyhood “realistic”, as it appears to avoid the “big events” and melodrama that other efforts might accentuate. This is true to a degree, but I think Boyhood isn’t quite the “random slices of life” piece some build it to be. It comes with a fair number of dramatic elements and plops itself on different major days – like Mason’s graduation – as it goes, so it doesn’t simply grab the characters on a collection of ordinary occasions. This approach seems both good and bad. On one hand, it’s a positive that Linklater gives us some drama – such as events related to Olivia’s abusive second husband – as these ensure we get something interesting to watch along the way. However, the more dynamic/serious scenes threaten to sabotage the movie’s overarching conceit. A more pure take on the characters would feel less oriented toward big life moments and come across as more natural and random. Of course, the actions we see in the movie occur in real life; I don’t mean to convey they seem phony. I just feel that if Boyhood had pursued a more consistent path, it might’ve been truer to itself. That said, I suspect a nearly three-hour movie that consisted of “ordinary life” would be God-awful dull, and even the Boyhood we get doesn’t prove to be especially scintillating. Granted, I understand that it doesn’t attempt to be a thrill a minute, so one needs to accept and go with its gradual pace to appreciate it. However, the essential lack of “action” does become a problem, largely because our lead character can seem so bland. At the start, Mason offers some hints of personality, but these tend to disappear as the movie progresses. He acts as a near cipher and lacks much to make us invest in him or care what happens to him. Indeed, the viewer may often wish that Boyhood would abandon its lead and follow other characters instead. Mason’s parents seem to be substantially more interesting than he is, and his sister also hints at a more dynamic life as well. Mason mostly just ambles along without much to make him an involving personality. And again, I get that this seems to be part of the movie’s point, as Boyhood wants to be about an ordinary kid. But Mason’s sister and parents are “ordinary” too – they’re just not bland and forgettable like he is. This issue becomes more of a problem as the movie progresses, mostly because the novelty wears off after a while. The film’s unusual structure and pace ensure that we remain interested for at least the first hour, and bits and pieces continue to work after that. Even at its most sluggish, Boyhood still remains reasonably watchable. However, it can become rather tedious, again mainly due to the drabness of the lead character. It doesn’t help that Coltrane never really improves as an actor. He starts as one-dimensional and stays that way until the movie ends. Coltrane gives us a flat, emotionless performance that acts as a barrier against the movie’s effectiveness. Mason ages and becomes a different person but not with any drive or clarity; he evolves more because the story tells us he does rather than due to anything Coltrane does with the part. Everyone else in the main recurring cast does much better, and the professionals we see in less consistent roles also do well. Really, outside of Coltrane, I can’t find much about which to complain in terms of acting. The various performers don’t get much time to embellish their characters, but they do so in ways that add to the movie. Ultimately, none of this makes Boyhood more than an occasionally interesting experiment. The story behind its creation seems substantially more compelling than the erratic and sometimes dull end product. Boyhood appears in an aspect ratio of approximately 1.85:1 on this Blu-ray Disc. The image had a few issues but usually looked good. Most of the problems popped up during the early parts of the film. Shots from the early 2000s could be somewhat soft, and they showed minor speckling. If the whole movie had remained that quality, it would’ve become a pretty lackluster presentation. Happily, the visuals improved as the film progressed. Sharpness still had some inconsistencies, but the movie seemed well-defined and concise the majority of the time. No issues with jaggies or shimmering occurred, and I noticed no edge haloes. After those early sequences, only a couple of print flaws appeared. 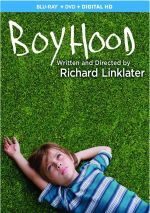 Boyhood provided a low-key but natural palette. Throughout the movie, the hues seemed reasonably full and distinctive. Blacks were fairly deep and rich, while shadows offered good smoothness and visibility. The mild issues in the first part of the movie left this as a “B-“ but most of the image looked better than that. 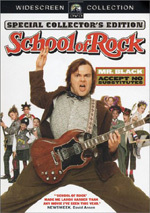 As for the film’s DTS-HD MA 5.1 soundtrack, it remained consistently restrained. The soundscape lacked much ambition and focused heavily on the forward channels. In that realm, the sporadic examples of music showed positive stereo presence, and the side channels offered generally good sense of place. The surrounds didn’t have much to do, though they opened up a bit as the film progressed. Even so, they stayed limited and didn’t give us much information. We got a bit of usage for scenes at sporting events or at parties, but the track concentrated on the front the vast majority of the time. Audio quality satisfied. Speech seemed concise and natural, without edginess or other issues. Music sounded peppy and full, and effects came across as accurate and clear. Nothing here impressed, but the track seemed fine for the material. Two extras pop up on the Blu-ray. The 12 Year Project runs 19 minutes, 11 seconds and includes notes from writer/director Richard Linklater, and actors Lorelei Linklater, Ellar Coltrane, Patricia Arquette, Zoe Graham and Ethan Hawke. “Project” looks at the movie’s origins and development, story/character areas, and challenges involved due to the scope of the production. “Project” offers a quick synopsis of the long shoot, but it gives us a good overview, particularly because it uses interviews from a variety of years and not just 2014. Q&A with Richard Linklater and the Cast lasts 52 minutes, 38 seconds and features Richard Linklater, Coltrane, Lorelei Linklater, Hawke and Arquette. They discuss methods used to “time stamp” the movie, themes, characters and narrative elements, music, aspects of the complicated long-term production, editing, cast and performances, and related areas. 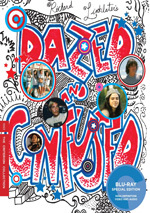 I wish we’d gotten a commentary for the film, as I think that’d give us the best examination of the complex production. “Q&A” offers a decent overview, though. Despite some of the expected happy talk, we get a reasonable take on the main challenges connected to the film. A second disc provides a DVD copy of Boyhood. This lacks any of the Blu-ray’s extras. While I admire the scope and ambition of Boyhood, the movie itself leaves me more cold than I’d like. Parts of it engage but the flick’s loose, meandering nature makes it somewhat dull. The Blu-ray offers generally positive picture and audio along with some decent bonus materials. As much as I like the movie’s goals, the end result seems lackluster.